Hi foodies.Welcome AYESHA'S KITCHEN. 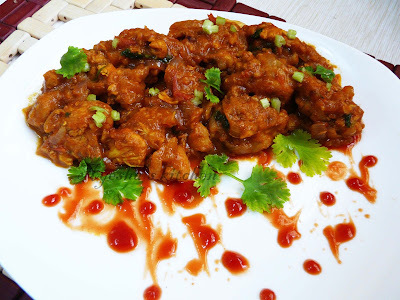 A nice strong flavored Ginger chicken is a must try recipe as always. This is yet another quick and delicious recipe that calls for simple ingredients. 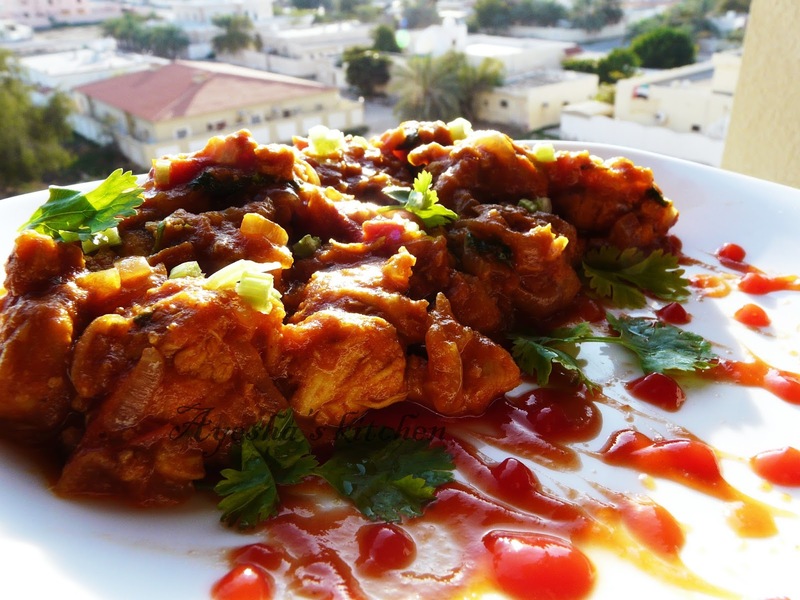 Most of the Chinese dish starts with a common process, that is marinating ( chicken) and deep frying. 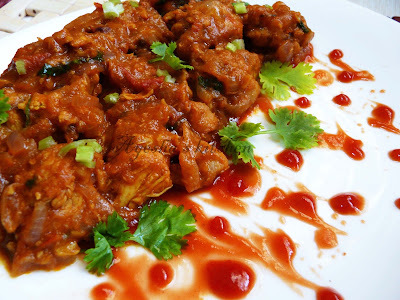 But here is a twist, that i just cooked the marinated chicken until half done without adding water and then added the onion, tomato, oil, cooked ginger juice along with the sauces without even sauteing. 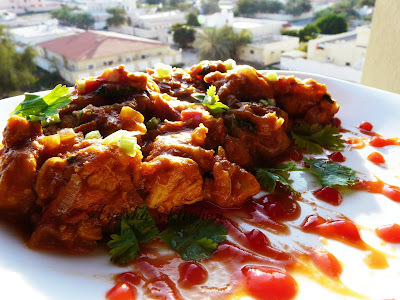 Really it is a must try recipe with very less oil and tastes the best ever. Here is the recipe which i inspired from a cooking channel. Do try and drop your feedback. Marinate the chicken with turmeric powder, chili powder, ginger garlic paste, and salt. Cook the chicken with the lid closed for 8 minutes in a medium flame. Do not add water. (You can also shallow fry the marinated chicken), but i just cooked it and this tastes really delicious and healthy. Mean while cook the crushed ginger in half a cup of water. Allow it to boil until the water get reduced to half and then take the juice by straining it. Set aside. When chicken is half cooked, add sliced onion, tomato and coconut oil to it. Mix well. Again cook with lid closed. Stir occasionally. Cook until the onion and tomato become soft and thick gravy forms. Then add the juice of ginger, mix well. Check for salt. Finally add tomato sauce, soy sauce, sugar mixture to it and mix well. Cook for another few minutes and garnish with coriander leaves and celery.